PRAGUE -- The Czech Republic's pro-Russia president won a second five-year term Saturday after beating a political newcomer viewed as more Western-oriented in a runoff vote. 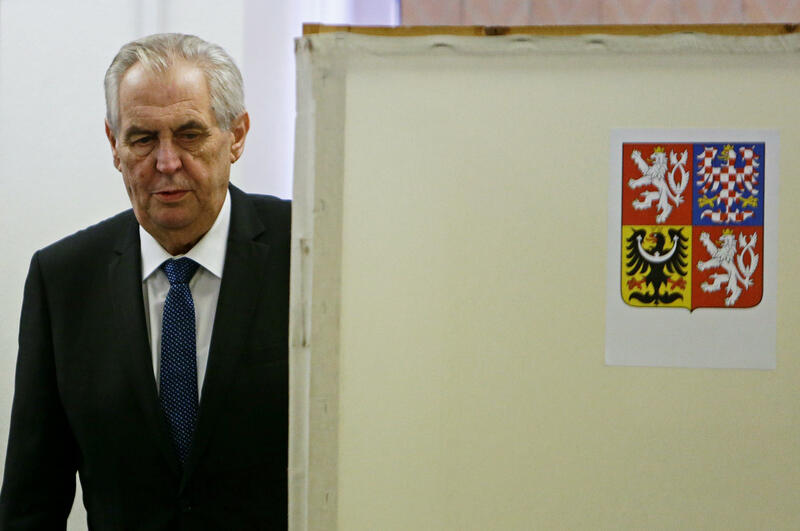 With ballots from almost 99 percent of polling stations counted, the Czech Statistics Office said President Milos Zeman had received 51.6 percent of the vote during the two-day runoff election. His opponent, former Czech Academy of Sciences head Jiri Drahos, had 48.4 percent. Zeman, 73, a veteran of Czech politics and former left-wing prime minister, won his first term in 2013 during the Czech Republic's first presidential election decided by voters, not lawmakers. Since then, he has divided the nation with his pro-Russia stance, support for closer ties with China, and strong anti-migrant and anti-Muslim rhetoric. When casting his vote Friday, Zeman said his opponent, Drahos, lacked experience, the BBC reports. "My opponent is someone who has not yet praised politics," he said. The president had said that even if he lost the election, he would swear Babis in again as prime minister before his term expired on March 8. The president also appoints members of the Central Bank board and selects Constitutional Court judges with the approval of Parliament's upper house. Zeman has exploited widespread fear of migration among Czechs and worked to portray Drahos as someone who would welcome migrants. The vote highlighted divisions between low-income voters and well-educated, wealthier residents of larger cities, who were likely to prefer Drahos, the BBC reported.